Taylor Kennedy is in a class of their own within the Downriver League. The Eagles sit alone top of the conference with a two game lead over Woodhaven and Allen Park. 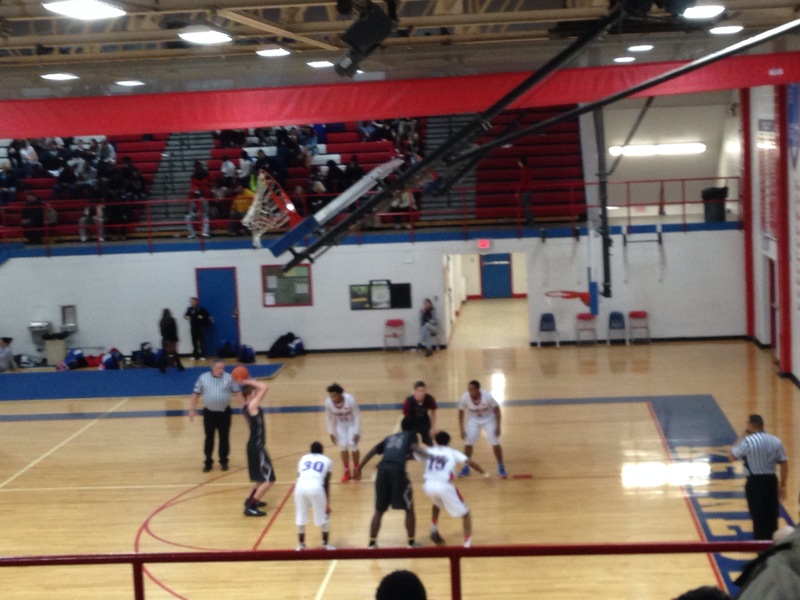 The latest win for the Eagles was against Southgate Anderson, the lone blemish on Kennedy’s conference record of 8-1. Marsh scored Kennedy’s first five points of the game, and finished with a team high 19. The Eagles built a six point advantage after the opening eight minutes of play. The deciding quarter was the second. Kennedy limited Anderson to five points the entire second quarter, while holding the Titan senior guard trio of Dejon Matthews, Juwan Graham, and Trey Harris to a combined 13 first half points. Kennedy led by 14 at half, and would lead by a comfortable margin the remainder of the game. Marsh said he started to suffer from cramps as the game went on, and scored only four points in the second half. However, fellow seniors also contributed for Kennedy. Shooting guard Anton Hogan scored nine points and rebounded six balls, 6’3″ forward Ciante Roach scored six points with 13 rebounds, and junior Charles Pritchett missed one shot on the night, but with three baskets and six free-throws, contributed 12 points and five rebounds. The Eagles find themselves in a position the program hasn’t been in for four years, first place. That 2009-2010 team eased to the conference championship with a record of 9-0, and made an appearance in the state quarterfinals. Marsh aspires to greater lengths, but knows it is better to start off small. An outright conference title has been one of Marsh’s goals for the past four years.